Rehearsals for 2014-2015 Season Begin Soon! Attention, band members: Rehearsals for the upcoming season begin on Wednesday, September 3. Time: Wednesday evenings, 7:30 to 9:00 p.m. Registration for the whole year is $124. You can pay in advance at the Castro Valley Adult and Career Education website, or bring a check to the first rehearsal. If you'd like to join the Castro Valley Community Band, or just learn what we're all about, please show up at a rehearsal! Bring your instrument. All are welcome. 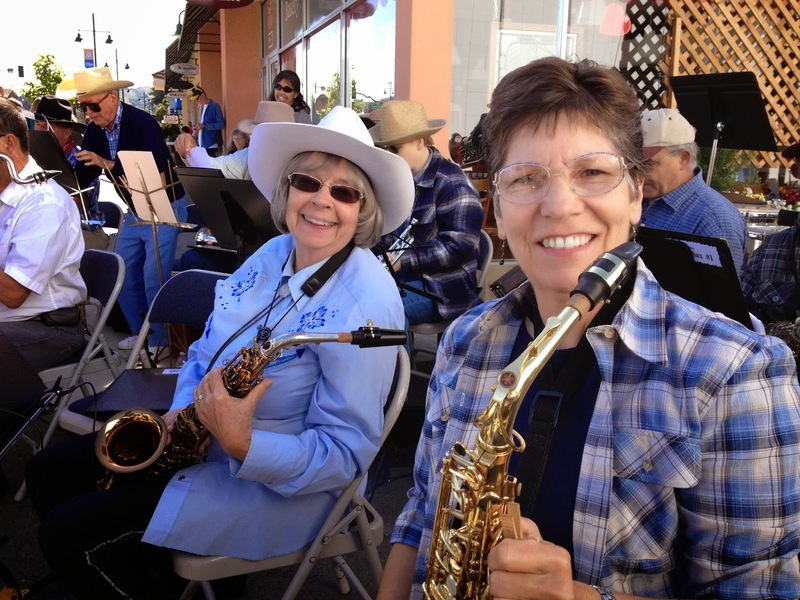 Meet these fine, fun-loving people and many more in the Castro Valley Community Band! Please join the Castro Valley Community Band on Wednesday, June 18 at 7:30 p.m. for our final concert of the 2013-2014 season, Marches, Musicals, and Movies! Music on the program includes Highlights from Camelot; Go West, a medley of music from Westerns (Magnificent Seven; The Good, Bad and the Ugly, and Hang 'em High), Hawaii Five-O, The Little Mermaid, Mulan, Mission Impossible, and The Sound of Music. The concert will be held at the Castro Valley Center for the Arts, 19501 Redwood Road in Castro Valley. The Castro Valley Community Band's joint concert with San Leandro High School will take place on Wednesday, February 26, 2014, at 7:00 p.m. (This is a different time than we announced earlier.) The location is unchanged: The San Leandro High School Performing Arts Center.